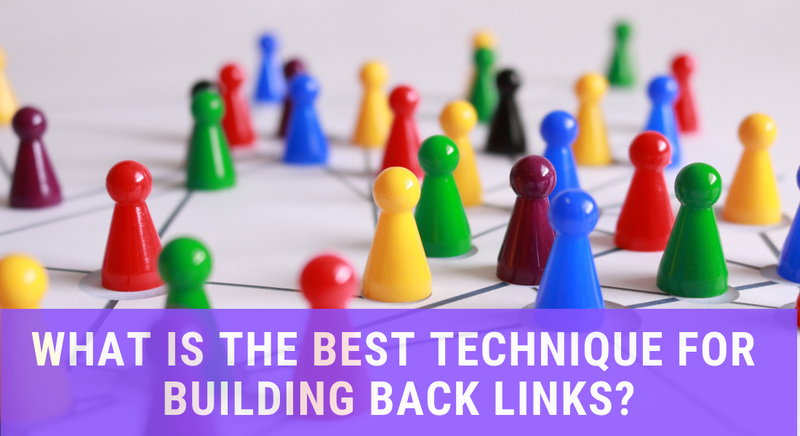 01 Apr What is the best technique for building backlinks 2019? What Is The Best Technique For Building Backlinks In 2019? When we make the best effort for SEO of our site, we focus on both off-site and on-site SEO. For off-site SEO, two most important things to us are- social signals and backlinks. The high-quality links are the best options to increase our website ranking. Backlinks enable you in speeding up the link building process. You may try to find people, who have interest in setting a connection with you. We have presented you with the most effective techniques to help you in starting a backlink building campaign. This is a way to contribute free web content to a different platform. It helps you in linking the content back to your site. You may add the links to the major blog content. There is also an option of inserting the link to the author bio. However, do not compose low quality, irrelevant content for earning links. Article marketing is another potential way to have the backlinks to improve your blog or website rank. However, when you are choosing website for article marketing, it has to be relevant to your article. For instance, when you have SEO business, you have to post the article to a directory that targets this niche. You may search for the do-follow article submission sites to get better benefits from them. You may have thought it be a conventional marketing approach. However, when you are running a digital link building campaign, you may choose it as the way to build backlinks. You can cite your link in the online news article. Without hiring publicist, you can do it very easily. You have to sign up for HARO, and its service helps you to find various journalists’ needs, relevant to your skills. Press releases, submitted to the directories, are also the SEO tool. However, you have to incorporate your links properly while writing the PR. Another great way to get quality backlinks to your site is by submitting your articles and eBooks to document sharing websites. You have to create PDF files of your blogs and then upload them to these sites. Thus, it gives you a chance to leave a backlink to your site. Some marketers do not rely on this process. However, it helps you in getting the best backlinks, as most of those websites are trustworthy to Google. This is also the best method to have quality backlinks and increase your website rank. Most of the social networks and social bookmarking sites have very high page rank. Thus, your own profile page will also have a good rank. You can add your website link to the bio section of your profile. This link is much potential to help you in getting more visitors to your site. Thus, follow the above techniques for building backlinks. Better backlinks will result in the more effective SEO campaign. Get higher rank of your business platform and different other sites.